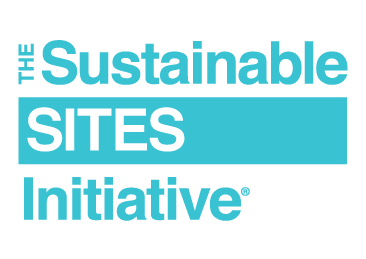 Join USGBC Minnesota for a one-day workshop on the SITES® rating system and the concepts and goals of sustainable and regenerative land design, development and management. Practitioners and regional leaders who attend will leave with the tools you need to integrate SITES into their work. Interested landscape architects, designers, engineers, architects, developers and policymakers should attend. The workshop will be held in the Village of Stockholm, Wisconsin, only an hour away from the Twin Cities. It will include a tour of the Village Park in preparation for an interactive session, in which attendees will use the SITES rating system to create two design scenarios for the park. When: Oct. 27, 9 a.m.–4 p.m.
SITES is the first program of its kind to offer a systematic, comprehensive rating system designed to define sustainable land development and management. SITES aligns land development and management with innovative sustainable design—defining what a sustainable site is and, ultimately, elevating the value of landscapes in the built environment. SITES can be applied to development projects located on sites with or without buildings—ranging from national parks to corporate campuses, from streetscapes to homes.